I say it every year but its no less true: One of the best things about blogging is being able to go back in time to a particular fun moment or project. Not only does it refresh my memory on what I accomplished this year but it also brings me back to that particular moment in my life when I was writing it - whether happy or down or exhausted or proud. Without further ado, here are the top posts by month for 2013. Feb: What a difference a year makes (from wishing for a baby in Taiwan to holding her in Brooklyn in 12 short months). Mar: Sharing my thoughts on what I wished I knew before I got pregnant. Apr: Learning how to transform a tiny log into an cool secret log box. May: Sharing my personal view on the most useless baby stuff out there. Aug: Debating the merits of painting a room mint or gray. Sep: The shore kitchen looking like a kitchen again complete with cabinets and floors. Dec: Sharing the free printable to make your own Santa sack for your littles. So that pretty much sums up my year. Obviously lots of baby related thoughts with a few big renovation projects, small DIY crafty projects and a couple of fun parties thrown in for good measure. I'd love to hear your thoughts! How do you think I did? Is there something you would like to see more or less of next year? A particular topic you want me to tackle? Did you enjoy the giveaways I did this year?  Would you like to contribute to Brooklyn Limestone in 2014? Either as a guest poster or regular contributor? Drop me a line! Happy New Year!! Love your blog! Sorry this is a bit off topic -- but I am currently renovating in Brooklyn and wanted to ask you about your brass wine rack table in your dining room. Would you let me know where you got it? Happy New Year! We got it on clearance at Restoration Hardware years ago. Just wondering how the shore kitchen cabinets are holding up? Do you like them? Just wondering how the shore kitchen cabinets are holding up? Are you happy with them?